The sheep body louse is a small, pale to red/brown insect with a broad head and chewing mouthparts, hence they are often called ‘chewing lice’ or ‘biting lice’. They feed on skin debris and hair and must not to be confused with sucking lice, which are not a problem in the UK. The clinical signs of chewing lice can be confused with that of sheep scab so it is very important to get a professional diagnosis before deciding on the treatment to be used. The sheep are irritated by the lice and the scratching and rubbing will damage the fleece and hide. Immune responses to lice can result in the nodular skin defect known as ‘cockle’, downgrading the value of the leather. Heavy infestations of lice are usually associated with animals in poor health because they seem to be able to exploit such sheep. In contrast, in healthy flocks no significant differences in lambing percentage or lamb weights at weaning between louse infested and louse-free sheep have been observed. Chewing lice can therefore be a significant indicator of underlying welfare problems within a flock. 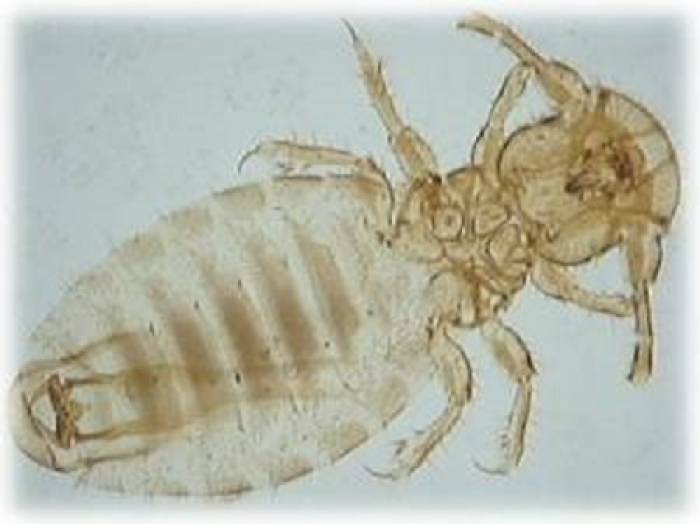 The prevalence of chewing lice is seasonal, with most cases occurring in the winter and the severity of the infestation appears to depend on the breed, fleece length and overall health of the host, together with the temperature. Lice populations tend to thrive during the winter and are lower in the summer. Shearing will reduce populations by 30-50%. Pour-on products should be avoided in fully fleeced sheep, as this results in a less effective treatment and increases the risk that resistance to the product will develop in the lice; best results for pour-ons are when they are applied ‘off shears’. Endectocides do not treat chewing lice. For information on treating/preventing blowfly strike at the same time as controlling lice, download the blowfly product guide here. Download a product guide to treatment options for chewing lice. Lice problems in the UK are caused by the biting/chewing louse, not sucking lice.